Blocked Drains Brisbane? YOUR IN LUCK! 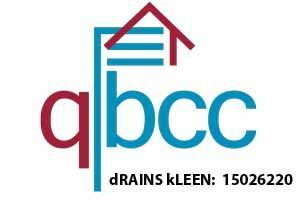 Blocked drain Brisbane and Beyond: dRAINS kLEEN Guarantees to get to the root of the problem! dRAINS kLEEN are your local drain experts for blocked drains Brisbane, servicing your area! No matter where you are from Brisbane to the Sunshine coast, if you have a blocked drain, give us a call, and we will see to it as soon as we can. Maybe you have a blocked drain Brisbane, sewer problems in Sandgate, overflowing stormwater drain in Chermside or perhaps it’s a blocked or smelly drain within your Stafford home or Bribie Island business? If a blocked toilet, blocked laundry drain or a blockage in your bathroom sink, shower, bathtub, or floor waste gully, is troubling you. We have a range of high pressure jetters that allow us to completely clean, clear & unblock all residential or commercial blocked drains Brisbane and beyond. Whether the problem is inside or outside your Brisbane home or business we’ve got the gear and the know-how to rectify all drain problems. We remove calcium build up, dirt, grime, soap scum, fat, grease, faeces, tree / plant roots, rocks, dirt, debris & whatever else that might have built up on your drain walls over the years; then inspect with a cctv drain camera and diagnose the condition of your pipes. A quick clean might be all they needed or there might be cracks or brakes allowing plant growth/ dirt, rocks and garden matter into the pipes, if this is the case you might need us to dig up and replace the pipes. If they are in an area of your home/property that is difficult to access there is always the option of no-dig patch relining which we can also provide. Rely on us to not only complete the job, but ALSO do it right, the first time!